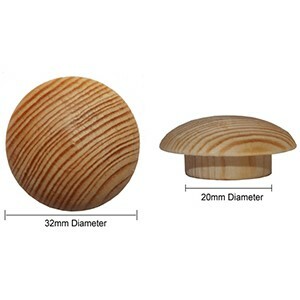 Cover plugs are used for concealing the countersunk newel bolt that is used for securing a handrail to a newel post. We have everything you need to fit a new stair case and get it looking great. Our stair parts are also excellent for repairing or refurbishing older stairs.